The next Canada Winter Games will be held in Red Deer Alberta, February 14-February 23, 2019. Biathlon Ontario hopes to send 10 athletes to compete. This will consist of four (4) males and four (4) female athletes and two (2) alternates born 1998-2002. Athletes born in 2003 may register however the athlete, parents and coach need to review and understand the requirements of Appendix 7, Biathlon Age Dispensation Procedures of the CWG Biathlon Technical package. 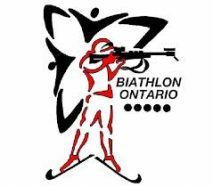 BiON is requesting that all interested athletes pre-register (https://zone4.ca/register.asp?id=18388&lan=1&cartlevel=1) their intention to qualify for Team Ontario CWG’s Biathlon Team by July 13, 2018. This information will assist the BiON Head Coach in developing training camps and assist athletes and personal coaches in athlete preparation for the trial races and the actual games. Registration is free. A team of 8 athletes, two alternates, and four coaches have been named to Biathlon Ontario’s 2019 CWG’s Team as well as a Women in Sport coach position. The competition is being held in Red Deer Alberta. Team will travel to Calgary Feb 14 and return Feb 23rd , competing in 4 distance events, Individual, Sprint, Pursuit and Relay. Congratulations to the selected athletes and staff. Visit the 2019 Canada Games Results page to follow Team Ontario throughout the games.